Where do sea snails live ? Sea Snails live in salt water, aka marine gastropods, in seas all over the world. They also bury themselves in the sandy ocean searching for food. Such as algae and dead plants. So they can EAT IT!!! WHAT DO SEA SNAILS EAT? HOW? Sea Snails eat plant matter, namely algae, or animal matter. EWWW!!! With only their few teeth, Sea Snails eat from their mouthes. What do Sea Snails look like? 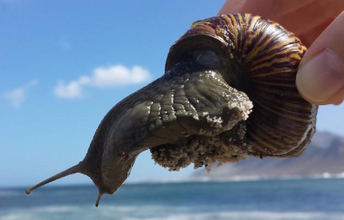 WHAT IS THE SEA SNAILS LIFE CYCLE? The Sea Snail starts off as an egg. And gradually turns into a full grown Sea Snail. They mate in the summer to make babies, and exchange sperm to fertilize their eggs.